Awww, chocolate :) It makes you smile just saying it. Can you believe that this delectable dessert contains no flour, eggs, vegetable oil, butter, milk or sugar? It's not even cooked. In fact this cool treat is practically ice cream (without the cream). First you'll need a good blender or food processor. Blend until walnuts and honey stick together and look sort of like crumbs then add remaining ingredients one at a time. Blending as you go until smooth and creamy. You're going for pudding consistency. Now you can freeze it by either pouring into an eight inch pan and top with coconut flakes for Cool Coconut Fudge, into a pie pan and call it Chocolate Coconut Cream Pie, or pour it into a plastic bowl, put the lid on and freeze for Chocolate Coconut Ice cream. Scoop out with ice cream scoop and sprinkle with coconut flakes before serving. Either way you need to let it hang out in the freezer for at least 3 hours. 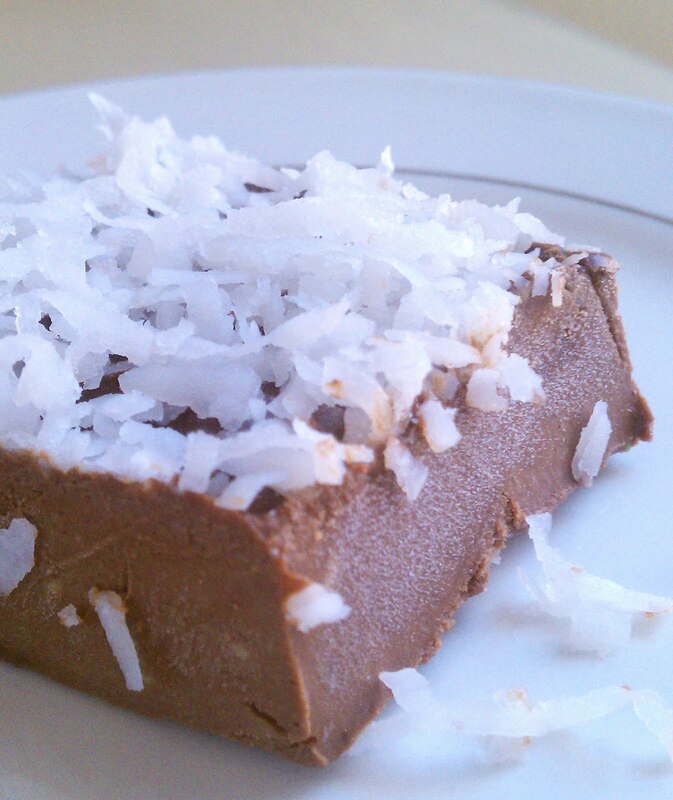 I've even just put some in the fridge and called it Chocolate Coconut Pudding. This stuff is so good and versatile that really whatever you can dream up, is what it is! Store in refrigerator or freezer if by some chance you have left overs. *Health wise there really is no comparison between your traditional fudge, brownies, or chocolate ice cream to this. I've gone on about agave nectar before and love the fact that there's no sugar rush after eating it. I've also touted the benefits of avocados. So good for you. "abscesses, asthma, baldness, bronchitis, bruises, burns, colds, constipation, cough, dropsy, dysentery, earache, fever, flu, gingivitis, gonorrhea, irregular or painful menstruation, jaundice, kidney stones, lice, malnutrition, nausea, rash, scabies, scurvy, skin infections, sore throat, swelling, syphilis, toothache, tuberculosis, tumors, typhoid, ulcers, upset stomach, weakness, and wounds." Read more on all the amazing benefits of coconut oil here. It's worth the read.